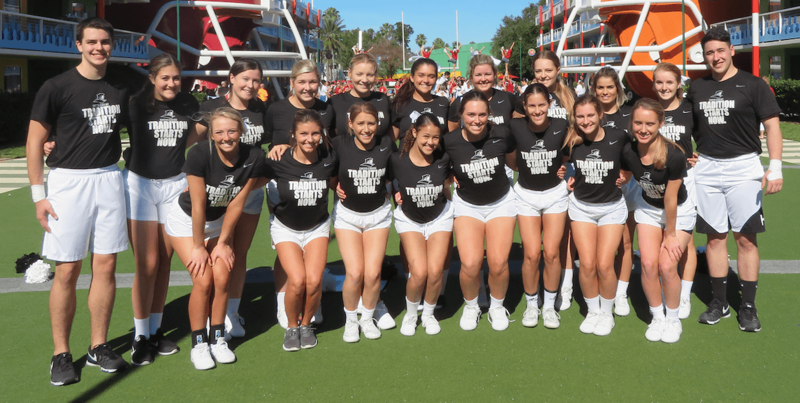 On Jan. 17, the Providence College Cheerleading Team traded in their snow boots for sandals and sunscreen as they headed down to the magical world of Disney for the school’s first appearance at the UCA College Cheering National Championship in Orlando, Florida. While the overall experience was amazing, the journey to the competition was something unlike anyone on the team has ever experienced. The team was able to practice all throughout winter break and utilize the extra sessions to finalize and perfect its routine for the competition. On days off, they were able to mentally prepare for what was in store in Florida and manage the pressure to be positive throughout the performance. At Disney World, the team stayed for four days at the Disney All Star Resort. They were able to explore the resort and meet other teams from around the country. 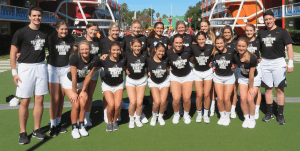 Between practice times and competition, the resort provided shuttles to the parks so the teams could enjoy a true Disney experience, go on all the rides, and see iconic locations. As a team, they were able to watch the partner stunt competition and Division 1A finals. While the cheerleading team itself was on the mat for roughly two minutes and 30 seconds and did not to advance to the final, they succeeded in their own way by managing the life of a student-athlete, preparing for the basketball games, and getting ready for the team’s overall first competition. Overall, this is a big step for the improvement for the cheerleading team that anticipates a bright future.